MHM Publishing Inc. is committed to protecting the privacy of www.skiesmag.com users and the overall integrity of the Internet. To that end, we are disclosing here any issues related to privacy in the collection by Skies Magazine of personally identifiable information from users of www.skiesmag.com. 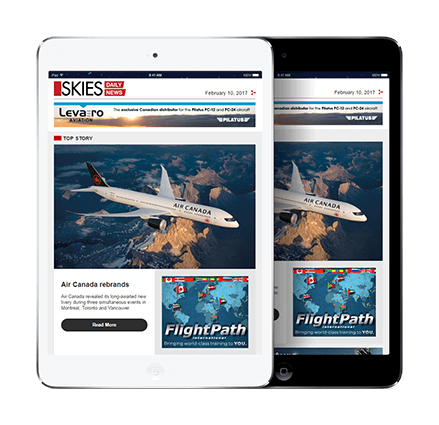 Skies Magazine operations include the production of www.skiesmag.com. We do not provide or sell your details to third parties unless you have specifically requested that we do so, in order that these advertisers and/or third parties can offer you information, goods and services that may be of interest to you. In the case of email these offers will only come to you from Skies Magazine. Skies Magazine may contact you by post or telephone with details of their products, services and promotions. In the case of email this correspondence will only be sent to those users who have opted in to receive communications via these methods. 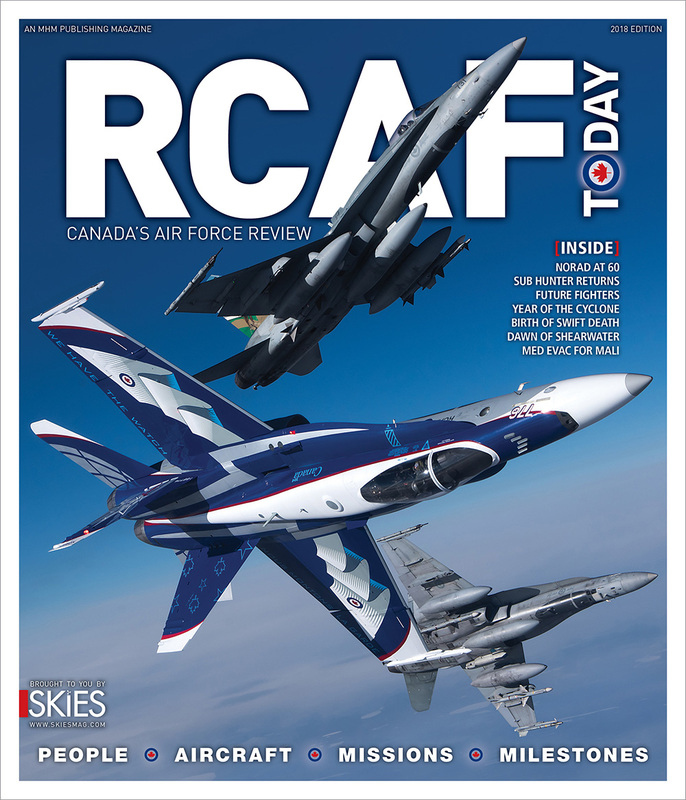 By subscribing to Skies Daily News and/or Vertical Daily News, or to the digital editions of any of our magazines (Vertical, Vertical 911, Skies, RCAF Today or Insight), you consent to receive emails from MHM Publishing. All of our email correspondence includes an unsubscribe option. You can also request to be removed completely from any and/or all of our mailing lists at any time. You decide whether to post publicly a personal email address when participating in online discussions. If you would like to opt out of this arrangement at any time, please select to unsubscribe when posting discussions. We reserve the right to disclose information about member usage and demographics to advertisers and partners, but in anonymous aggregate form only. 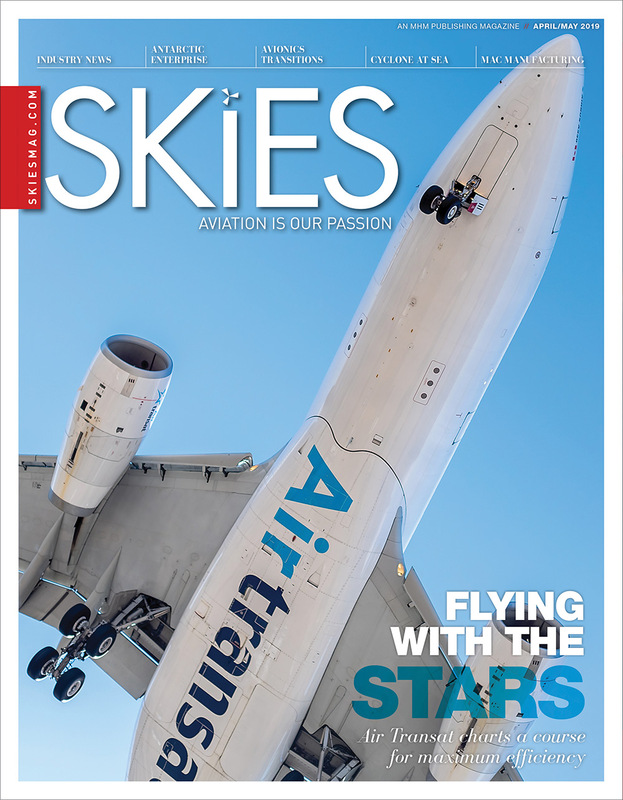 Skies Magazine will not reveal your personal identity in connection with the disclosure of such information. We require users to provide us with a name, email address, full postal address, gender and date of birth in order to register for access to certain services. We may also ask for other non-mandatory demographic information from subscribers, including number of children and occupation. Following registration, we will employ a registration cookie to recognize a subscriber and his or her access privileges on www.skiesmag.com, as well as to track site usage. We may also collect personal information from you through your use of inquiry and feedback forms and every time you email us your details. We also log IP addresses, or the location of your computer on the Internet, for systems administration and troubleshooting purposes. We occasionally use IP addresses to track a user’s session, but do not link IP addresses to personally identifiable information. We may periodically send you email updates on www.skiesmag.com and services offered by www.skiesmag.com and its advertisers. Only those users who have opted in to receive these communications via email will receive this information. If you wish to opt out of receiving such information from us, please use the unsubscribe option included in all our email correspondences. We will also use your information to target banner and box advertising on the site so you will see advertising that may be more relevant to you. You will never be targeted as an individual, but as a larger demographic group of similar users. This use of your personal information is contractual to the use of www.skiesmag.com. If you do not wish your information to be used in this way then you will be unable to use those areas of www.skiesmag.com that require registration. We will use your information to deliver products or services you have requested, to manage your account(s) and perform research and analysis about your use of and/or interest in our products, services and/or content. We will also use this information to communicate with you by email, postal mail, telephone and/or mobile devices and to track the clicks and open rates of our email subscribers. We are not responsible for the content or the privacy policies of websites to which www.skiesmag.com may link. Cookies make it possible for us to identify registered users without needing to ask for registration details every time you access one of our sites. Using cookies makes accessing our sites more convenient as you don’t need to remember your username and password each time you enter. What information is visible to other www.skiesmag.com users? If you are submitting an item to message boards or to provide feedback and would prefer not to have your email address displayed, then simply click on the option to screen your email address from being published, or state in your letter to the editor that you do not wish to have your details published. Our policy is to publish email addresses unless you specify otherwise. Will a website or organization outside of Skies Magazine be able to steal my ID and password? No. 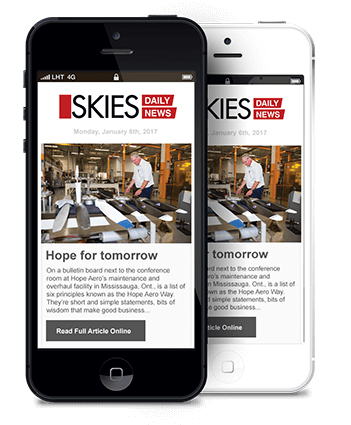 Only Skies Magazine can read the information about your ID and password that you submit when registering.